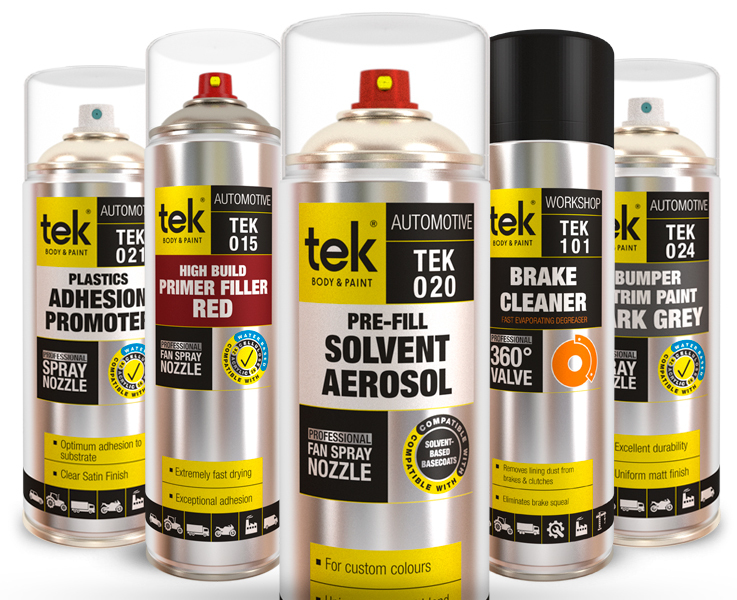 Tek is a technologically driven, comprehensive and specialised range of automotive refinish products developed to meet the highest demands of today’s refinish industry. Developed to deliver greater productive efficiency and throughput for the Bodyshop, the range is a product of 7 years of JBL R&D knowhow, innovation and manufacturing expertise. Its distinctive packaging is designed to enable quick and easy product selection – giving you confidence that you have the right product for the job. Tek – from primer to polish – The fast way to spray.